Young Miguel is a little boy living in Mexico who loves music. Unfortunately for him, his family has banned all music in his family after his musician great-great grandfather chose fame over family. After discovering that his idol, local musician and hometown hero Ernesto de la Cruz may be that very same relative, Miguel is somehow transported to the land of the dead on Dia de los Muertos. Now he needs help in getting back to the land of the living - and in getting family AND music into his life. 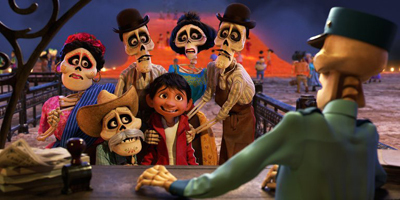 How well do you Coco, the 19th movie from Pixar Animation Studios?